The fabulous thing about being a tween is you can pull off looks and styles that older teenagers and adults cannot. Embrace your youth and dress in whatever displays your personality, but keep the look PG, not R-rated. 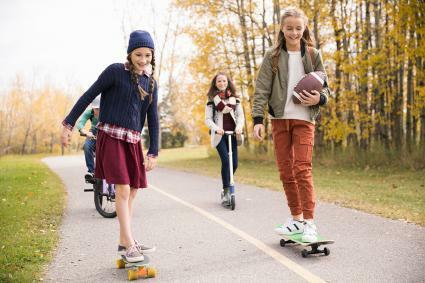 Whether you're a casual shopper, a trendy show-shopper, or you grab whatever catches your eye, make sure you check out the most popular tween clothing brands. Keep your wardrobe stocked with the basics from these casual, tween-loving stores. Casual clothing is simple, easy to mix and match, and consists of your day-to-day clothes. Depending on your budget, you may want to shell out a little more dough for the standard casual basics such as denim, T-shirts, and shorts. Always start your outfit with a good base and build up to your personal style. Abercrombie & Fitch are renowned in the fashion world for all your denim needs. You will know when you pass this store because of the trademark aroma of cologne that seeps out onto the mall walk as you pass. Duck inside Abercrombie & Fitch Kids to look at the brand logo shirts, skirts, bathing suits, and, of course, the denim. With over 350 stores worldwide, all tweens know Aeropostale as the trendy and less expensive alternative to Abercrombie & Fitch. Stop in to try on the assortment of brand logo shirts, seasonal jackets, and accessories. Besides the prices points, you will enjoy the sales that Aeropostale offers throughout the year. A fashion hit with teens as well as tweens, Hollister Co offers a wide assortment of clothing to choose from for casual wear. Like Abercrombie, Hollister has an awesome denim selection that will fit virtually any tween. While you are there, look at the school uniform section if you attend a school that requires specific clothing. Yes, it is almost too good to be true. Why bother your mom to head to the mall when you can tag along with her to Target to shop for the very trendy Mossimo? Sure, she may notice the fact you are a little too willing to come, but when she sees the amazing fashions and even better prices; she will be helping you pick out stylish pieces to fill your wardrobe. There are currently 1,835 Target stores in the US, which proves just how popular this retailer is. Ranked in the top 10 of the best tween clothing brands, American Eagle Outfitters (like Abercrombie & Fitch) are mostly recognized for their high-quality denim. They also offer other casual and comfy separates in the form of t-shirts, hoodies, footwear, and lingerie at affordable price points. Known on the tween scene for their trendy pieces in cool cuts and colors for young girls, Brandy Melville's offering includes casual tween basics like crop tops and mini skirts, which is counter-balanced with more practical pieces like sweaters and fitted tees. Their online shop currently ships worldwide. Japanese basics brand Uniqlo is often compared to GAP in terms of quality and price. It's part of the Fast Retailing company, which is the fourth largest apparel retailer in the world. Providing awesome casual pieces for tween girls and boys all-year round, Uniqlo also has a back to school collection, which will keep you feeling and looking smart whenever you're studying. Sometimes you don't feel like throwing on a pair of jeans, a t-shirt, and a sweatshirt. Instead, you want to dress up just a little bit but not go overboard. For times like this, turn to one of these stores for the latest in classy tween styles from your favorite magazines. 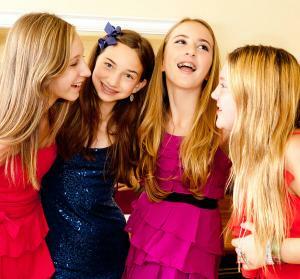 This ever-popular tween destination has styles that change weekly for young girls. Charlotte Russe is budget-friendly and has an amazing selection of dresses and accessories for school dances, first dates, and other formal events that require you to dress up and dance. 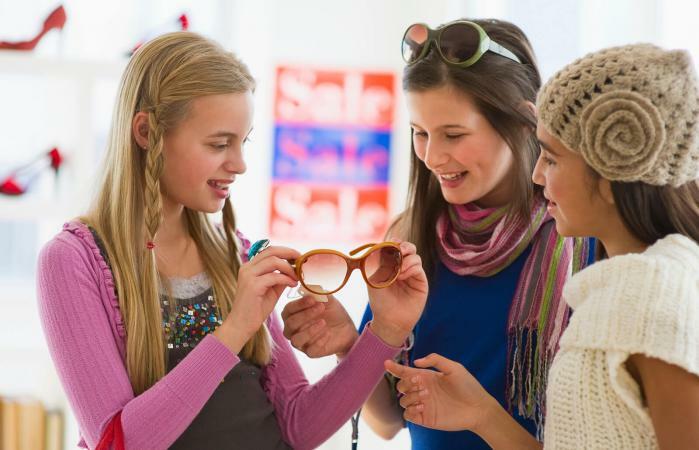 According to lifestyle publications, the perfect store with ideal price points for tweens would be Forever 21. Skip on over or head online, to browse through the hundreds of clothing choices for both boys and girls. The store is geared towards fashion-forward tweens who enjoy spicing up their wardrobes with a funky top or sassy accessory. While the price is slightly above moderate, Juicy Couture is still a top 30 favorite for tweens everywhere. The brand is known for velour and terry-cloth tracksuits, but the fashionable T-shirts and trendy accessories line is awesome enough to impress your latest crush. Ranked highly for tween fashion, Rue 21 is a US-based company that allows you to shop catwalk-inspired trends for both guys and girls. They have the hottest fashions for less so you can step out of your house in style. Sweden-based fashion brand H&M is a popular media choice for international tweens. They offer on-trend pieces for both genders at unbeatable prices. From quirkily printed shirts to packs of undies at bargain prices, you won't go far wrong with this global retail giant. The worldwide popularity of Spanish retailer Zara is ever-growing, with the presence of 2,200+ stores in 96 countries. They offer a wide assortment of denim styles and fashions for tweens that are just as chic as the men and women collections, but with a little more sass. According to tween media, Urban Outfitters is a #1 shopping destination for tweens through college age. As well as featuring vintage and retro styles, they have trend-driven pieces in the clothing and homeware space. Just because you're sweating it out on the track team, or working out during gym, doesn't mean that you don't need to look stylish. 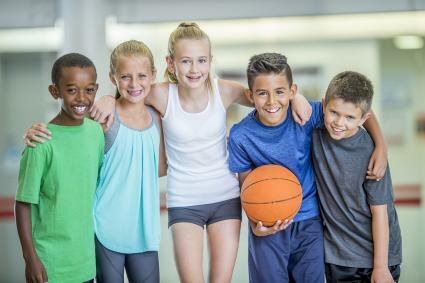 There is a wide assortment of athletic apparel available for tweens. Look to your favorite sports player for inspiration or check out popular athletic brands. Running around in gym class never looked more stylish when you are decked out in Nike gear from head to toe. If head-to-toe branding is not your thing, then at least check out the tennis shoes that Nike offers. In addition, the brand has shorts, T-shirts, track pants, and windbreakers in fashionable styles that you are sure to adore. After all, their 1,182 stores worldwide speak for themselves! Sure, Old Navy (GAP's younger sibling) does have casual clothing that's awesome but, according to the style-sphere, the athletic department rocks also. Head to Old Navy to grab new yoga pants for the gym, running shorts, or basketball shorts. Ranked in the top 20 of the best tween clothing brands, PacSun continues to attract younger people with their California lifestyle clothing. From sweet boardshorts to wearable denim, it's still considered cool to wear the latest PacSun styles. Ranked highly for tween sportswear, Germany-based brand Adidas is renowned around the world as Nike's biggest rival. With athletic wear still dominating tween fashion, you can find their signature striped tracksuits and totally awesome sneakers on their official website. With a multitude of stores globally, Under Armour provides footwear, casual apparel, and sportswear to fit your lifestyle needs. You can get everything from leggings and sports crop tops to caps and hoodies, which are very trendy in the tween market. Initially just a swimwear line, ladies surf brand Roxy is now ranked in the top 25 of the very best of tween clothing. From boardshorts and wetsuits to even snow pants and thermal layers, Roxy will ensure you're appropriately kitted out to brave the elements, no matter what the time of year. Tweens have the luxury of experimenting with trends; however, like adult and teen fashion, the trends will change from season to season. Keep up with current trends by shopping within your budget, creating your own style, re-styling clothing, and reading fashion magazines.